Larry Zimmerer, Automotive Industry Lead - Haig Barrett, Inc.
To say that Larry is knowledgeable of the Automotive Industry is an understatement. For the last 36 years, Larry worked in the field office for Ford and for Toyota in corporate headquarters and the field. He’s even been part owner and operator of retail dealerships. 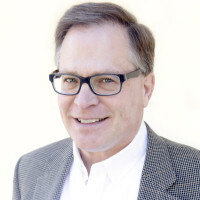 With his vast experience, Larry has a unique understanding of how to create the right synergies. Larry’s philosophy is to create a win, win, win scenario – win for the OEM, dealer, and customer. This philosophy comes from working in the field and retail, gaining a deep understanding of what both customers and dealers care about the most. These insights provide Larry the ability to craft plans to meet customers’ and dealers’ needs. His knowledge was showcased when he was selected to over-see the development of a new information system software for a leading automotive manufacturer. Larry’s knowledge of OEM, dealer and customer needs made Larry the choice to lead a team in creating a system to streamline the manufacturers’ incentive process. Although Larry has moved around numerous times throughout his career, he is a Midwesterner at heart. He grew up in Kentucky, attending Bellarmine University. He currently lives in Chicago with his wife. One of Larry’s passions is playing golf. If you challenge him to a game, ask him to go easy on you because his single digit handicap is no joke. Larry also enjoys gardening and reading a book a week. Some of his favorite books are by James Patterson and Stuart Woods. When asked about his super power, he would like to be able to look into the future without needing a crystal ball. This way he’ll be better prepared for what happens in the future. Really though, we think he just wants to make sure he can beat you at the game of golf before he accepts your challenge.